Sometimes, the stuff we buy is totally aspirational: we buy it more for the people we wish to be, or to become, than for who we actually are. Card games are like that for me, and I figure at least it’s not as bad as fashions (for some women) or shoes (for some women) or… well, almost any other indulgence. Ever a sucker for fun new card games, I bought the game Sleeping Queens today while we were in Nahariya (note: links point to the English Gamewright version; the Hebrew one is licensed by FoxMind), for ₪40-something instead of the ₪60-something in the big chain bookstores. This is more than it costs online and in stores outside of Israel, but in this case, I really like the fact that the cards and characters are all marked in Hebrew. We played this once already, as soon as we got it home. Naomi said she didn’t want to play, that she had played it at school already. I asked if she’d understood the rules, because a lot of what goes on at school goes over her head, and she kind of shrugged. Still, I persisted, and I explained everything carefully in English and we both had a good time. There’s a little math involved, but not so much that it’s heavy. And there’s a little silliness involved, but not so much that the game is babyish. I even think Sleeping Queens is a game GZ could get into if he ever gets over his “twosies fish” obsession. Huh? Never heard of “Twosies Fish”? Well, here’s my basic taxonomy of the boringly basic “Fish” card game. “Twosies” is the lowest level. Basically, anytime you have a pair (TWO cards with the same number), you put it down. If you have fished your wish, you go again. The next level up is “Foursies Friendly,” which is where you have to collect all four cards with the same number, but if somebody asks, you have to give them ALL the cards you have with that number. Then, there’s “Foursies Meanie” where things get interesting because you can bluff a little: if someone asks, and you have that number, you must give them ONE card. They have to ask again to find out if you have more, and risk striking out if you don’t. Finally, there’s “Foursies Fiercies,” the final variation, where you must request the EXACT card you are looking for. If you need the Six of Diamonds, you must ask for the Six of Diamonds. If the person you ask doesn’t have that EXACT card (even if they have other sixes in their hand), they can say no and you have to go fishing. You wouldn’t believe the amount of fun a 6-year-old can have with a basic deck of playing cards. Seriously. Certainly, I don’t. 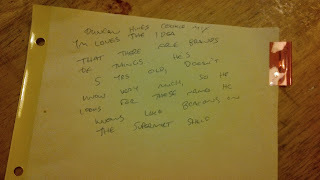 But I try to bear with it because after years of my inviting him to play card games he’s finally, finally (sometimes!) saying yes, and playing eagerly when he does join in. (He chortles to himself as he lines up his pairs, and often creates a literal line of them across the floor, to the point where he has to get up and run across the room to place a new pair at the end of the line. One of the other new games came from eBay, the card game Mummy Rummy, which is kind of cool, if complicated to get started. 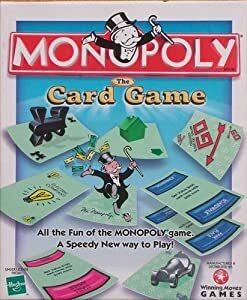 I played it once with Naomi Rivka, and I suspect that it gets easier and more fun once you become very familiar with the cards. But the other game, Flips and Flops, was a total disappointment. I’m not even linking to it here. It’s another FoxMind game, so I was expecting a play experience similar to the GameWright type games that FoxMind licenses here. But alas, this game seems rather poorly thought-out, and we couldn’t figure out a way of playing that didn’t end the game in a very unsatisfying 3 minutes or so. I emailed the company, but they don’t seem to give a hoot and never got back to me, so there it sits on the shelf, despite GZ’s initial excitement over the box graphics (with a mean crocodile and some escaping frogs, not to mention a “medal” you win at the end of the game, it looks like the sort of thing he’d totally love). It seems like this isn’t a GameWright game, either, but one FoxMind kind of thought up (or failed to think up) on their own. What a lousy experience, especially considering the ₪60-some-odd shekels I spent for it in a store here. Big frown! 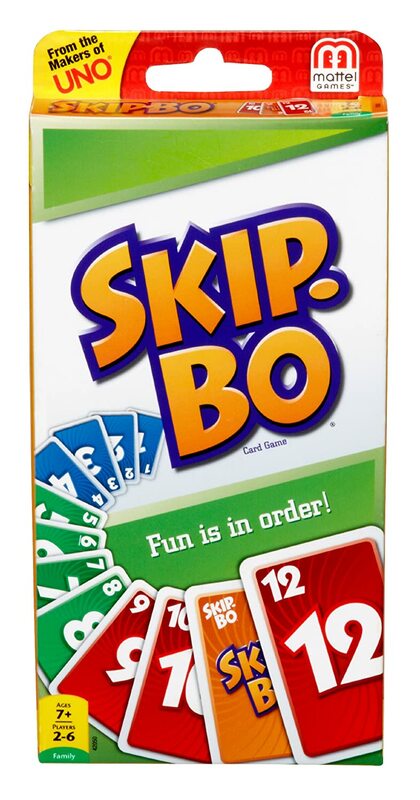 Skip-Bo, a more fun game (my humble opinion!) from the makers of Uno. Uno, because sometimes the kids like it. This is just straight Uno. Coming on our shipment from Canada are also Harry Potter Uno and Star Trek Uno. There may be others… I forget! There are all kinds of playing card holders out there – some designed especially for kids (here’s one by Gamewright themselves! ), others for adults with arthritis and other disabilities…. but I don’t recommend any of them except these. The card holders we have are made by a company called Jobar, which seems to make therapeutic products and lifestyle aids in general. The day I bought them, my son noted that a friend of his had these at home for a sibling with a disability. They are very sturdy plastic, though they will tip over backwards if pushed – they’re not bulletproof, but have made it unbelievably easier to sit comfortably with the kids and play card games. Indeed, they are often the difference between frustration / tears and happiness / fun… and sometimes, if only one kid is playing, I’ll take the other card holder, just because it’s an easy way to keep my cards secret and organized. It occurs to me now that, however aspirational my card game lust may be, most of these games have had quite a bit of playing time, and certainly, the card holders have seen a lot, a LOT of use in their four years with our family. So it may not just be a dream of who I want to be… playing cards may actually be something our family enjoys, and will enjoy more as the younger kids get older. Are there any really, REALLY great games we’re missing? What do we need to add to our bookshelf? Inspire me with your family favourites – I’d love to hear about them!!! … ‘til 16 years from now what really ought to be mailed today. Isn’t that how the quote goes? Seated on the floor Tisha b’Av morning, sifting through 30 years worth of papers (highly recommended for the occasion as both a saddening and deadening kind of occupation), I came across a small stack of thank-you cards from YM’s upsherin… ie, the upsherin we held when he turned three. Yes, the same YM who is turning 19 in a month and a half. I still really like the “logo” I designed for his upsherin – a blue scissors, open, with “YM” from top to bottom one way and the Hebrew letters yud and mem the other way. I mock-airbrushed it with my set of “Blo-Pens” – a truly kitschy-but-cool craft supply if ever there was one. I used cutting-edge scanning & colour-copying technology to apply the logo to everything from the invitations (in fridge magnet form!) to the program (yes, there was a program) to, well, the thank-you cards I don’t think anybody ever got. To be very fair, because his birthday comes out right after Sukkos, I didn’t get around to doing the actual upsherin until maybe a month later. So they’re not REALLY 16 years old, right? And okay, some of the intended recipients are already dead – not least, the “Zeidy” in this card. 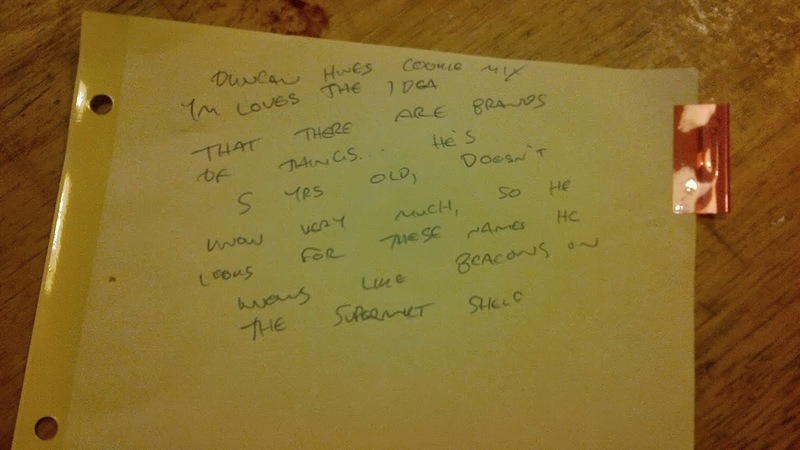 I never mailed the stack because I was having him initial each one, a tedious task for a 3-year-old, and one which I eventually abandoned in favour of, well, abandonment. After all, who hasn’t had something slip their mind from time to time… for 16 years??? Two words that make me bananas – and not in a good way. I’m including these both here to save time, and because these are similarly misused words – due to their inadvertently doubled vowels – that both keep popping up everywhere I turn. So! Snuggly vs Snugly. Anyone??? Well, okay, it isn’t really very snuggly. But it’s “Dydee Bear!” the official diaper-service mascot bear that my sister had as a baby. This “data center knowledge” article is another example. Aww… it’s snuggly! Shinny vs Shiny. Really, unacceptable. 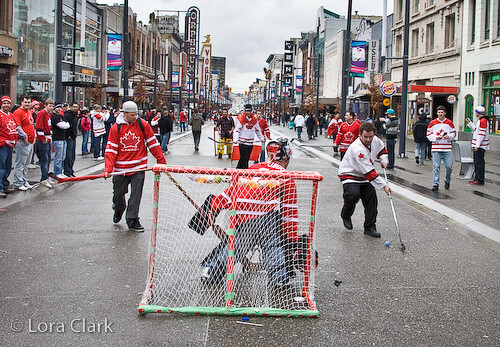 An informal game of hockey, often played in the streets. <- So, clearly, this hair product does not make “hair look so nice and shinny,” as one reviewer mentioned. 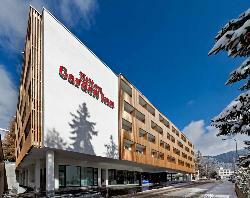 This hotel is really not “shinny and new”, however alpen-lovely it may be. But maybe a few tips for keeping your motorcycle looking “shinny and new” couldn’t hurt? “Shinny and clean” silver, anybody? Hmm… what a bright, shinny belt you are wearing today! Okay, enough. 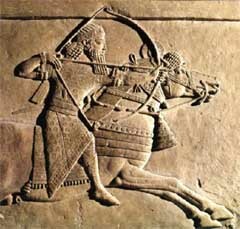 I am beating a dead horse and we all get the point. Here’s to a bright, shinny day, with maybe a bit of snuggly tossed in here and there.